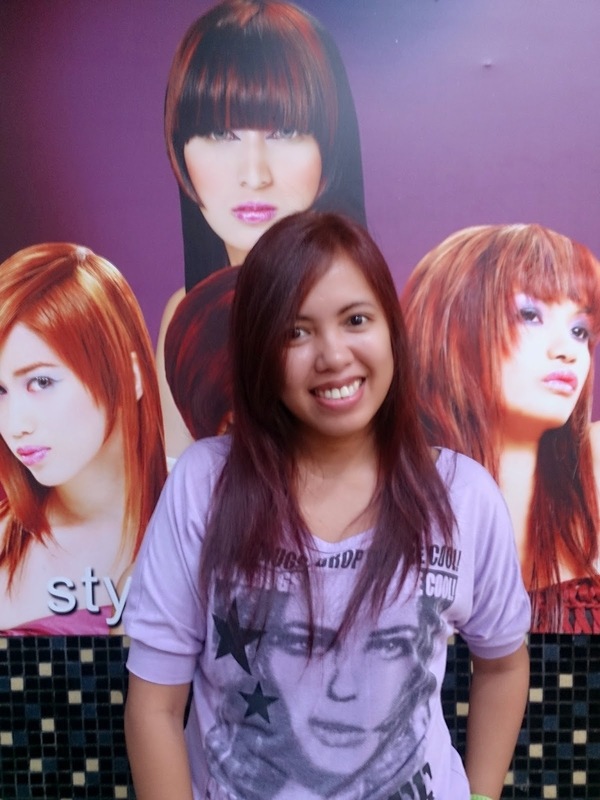 Venus Smileygal: Hello Red Hair! And saying hello to my new red mahogany brown hair color. 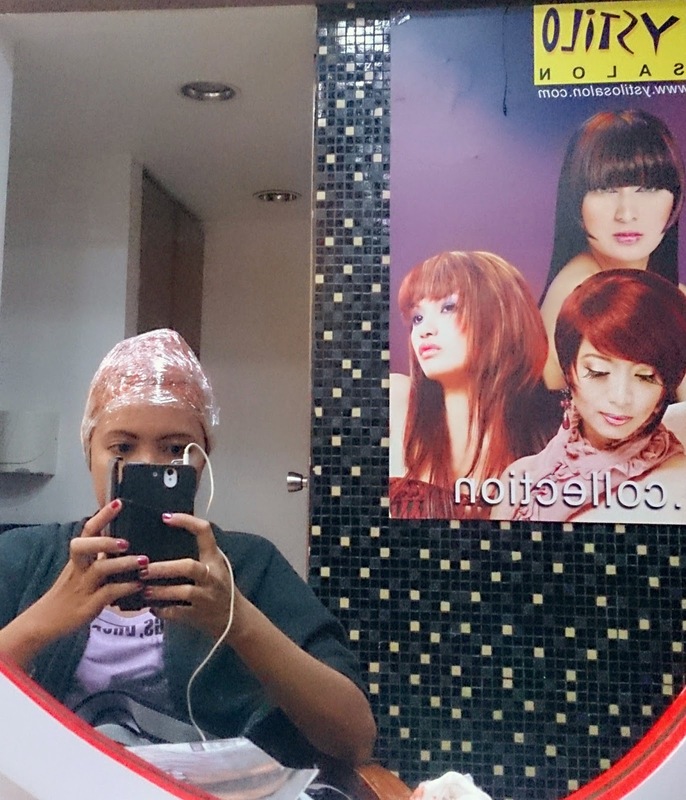 I had my first hair color at Ystilo Salon more than a year ago. 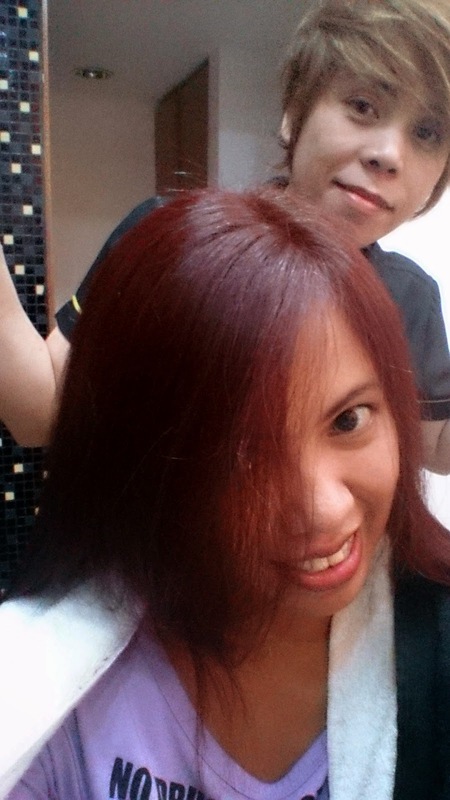 And since I was satisfied by the service, I opted to comeback again to have my second hair color treatment. Ystilo Salon Limketkai had a summer promo on the hair color service, PHP 1500 for any hair length. Last time was way more cheaper promo though. 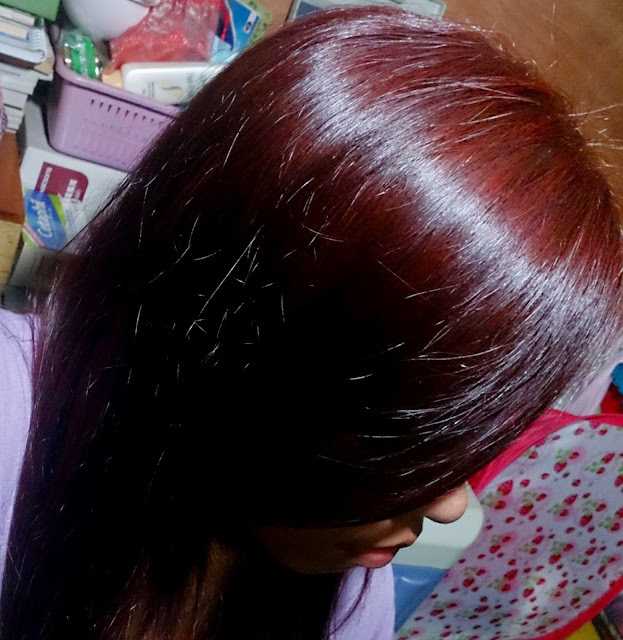 I wanted something red and so the hairstylist recommended some shades from their catalogue as well as explain the resulting colors until I finally decided which shades of red to have. The hairstylist that use to do my hair color and haircut was on day-off. So Im glad that the hairstylist that was assigned to do my hair color today gave me an excellent service. Though I didnt had the chance to have a free haircut. Sayang! I just had to share this... Got in a bad mood with their new salon assistant though. You could say she's new because everytime I ask her, she always answer "I dont know". Then I had to repeat my shampoo because she didnt listened on the hairstylist instruction. And when she was ask to blow dry my hair, she initially said she doesnt know but manage to operate the blower eventually. What I didnt like is that she keeps on saying... "Its hard, its tiring, this is so hassle..." The more she repeat those words while blow drying my hair, the more pissed I feel. What's with the complaining in front of a paying costumer?! Really a bad vibe staff! Turn-off! Good thing the hairstylist has good aura and was accommodating. Even though she was very busy because she's the only hairstylist and there was a lot of costumer she had to handle. She still manage to see if the costumers are settled and has something to get busy with while waiting for her to attend to them.